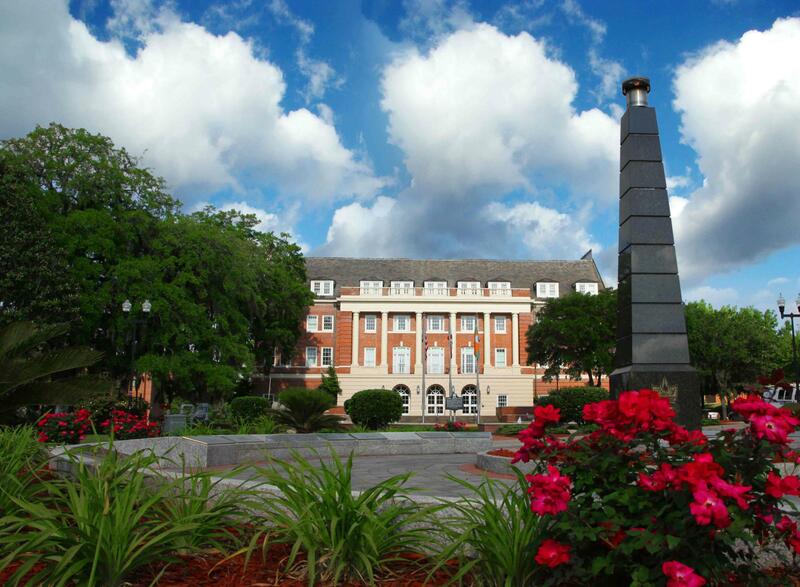 FAMU's Lee Hall is one of the oldest buildings on campus and houses many of the university's administrative offices. When it comes to picking the perfect college, there’s the question of what to look for? Is it programs? Campus clubs? Atmosphere? Or is it just a raw feeling? As part of the HBCU Profiles Series, we take a look at Florida A&M University—and how some say, it called them home. Lynn and her grandpa's. 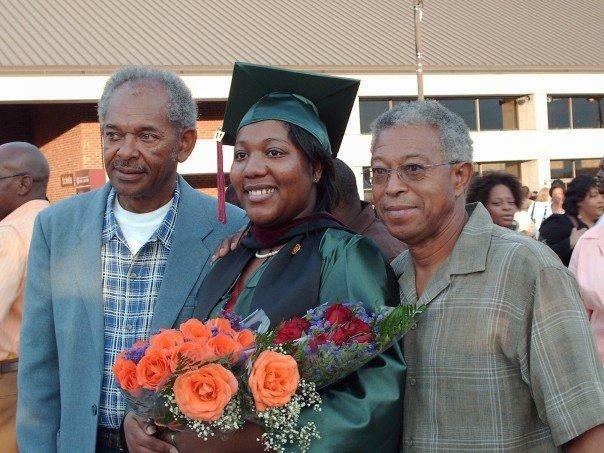 Photo taken graduation day, August 2007 at the Leon County Civic Center. I am a 2007 graduate of Florida A&M University. And no, FAMU was not my first choice. In fact, my first choice, was Michigan State. Why Michigan? I don’t really know. But as a kid growing up in Oakland, California, HBCU’s, or “Historically Black Colleges and Universities" as they’re called, weren’t a known commodity. Not in my family. Then, we moved south. To Georgia. Talk about culture shock. But when I was in high school, my band director introduced me to the sound of FAMU's Marching 100 Band. And that’s my second disclosure. I am also a former member of FAMU’s Marching 100 Band. FAMU gave me academic scholarships, music scholarships and with a healthy dose of federal financial aid to afford the out-of-state tuition, I turned down eight other schools— to come to FAMU. The band may have attracted me, but it was FAMU’s journalism program that sealed the deal. I’m not the only one. Jessica Ward ended up getting a “night tour” of FAMU’s J-School when she and her father got to campus after hours and found everything closed. But they happened to run into a professor and the school newspaper’s editor-in-chief. “Professor [Valerie] White gave the keys to the editor-in-chief. It was just crazy and I knew I was home. I felt like had I been on any other campus, that wouldn’t have happened," she says. FAMU also drew in Professor Atira Charles, who went from being a student in the late 90’s early 2000’s to a teacher in the School of Business and Industry. “I felt that I was home. It was almost like magic fireworks occurred over the quad, and that was around the time when FAMU was college of the year in 1997. I’m a child and product of the ' different World' era. And watching HBCU life every Thursday was something I looked forward to, but when I got to FAMU I knew that was the vibe and the energy. I saw people who looked like me, who were great, who were excellent, who were diverse." Donna Kay’s FAMU experience began in the 1970’s. She wanted to go to Florida State—but found out it no longer had a journalism school. So, she came to FAMU and graduated in 1978 with a 4.0 GPA. Kay points out something that’s an admitted sore spot to many FAMU alumni. The controversies that have rocked FAMU within the past 10 years. In the past 15 years FAMU has seen five presidents, the hazing death of a band drum major Robert Champion which made national news, and a failed legislative effort to split the FAMU-Florida State College of Engineering. Not to mention periods of probation handed down by the accrediting body, the Southern Association for Colleges and Schools. “I think part of the reason we have this discussion of relevance to HBCU’s is because our roots do not go deep enough and our vision for the future does not go far enough," says activist Bill Lowman. He says HBCU's like FAMU are at a crossroads. Today, some HBCU’s like Bluefield State College remain HBCU’s in name only. Bluefield’s student body is majority white. And at other institutions the trend is turning as well. FAMU’s Stewart notes it’s not a race, class or color thing—It’s about finding a place where students can call home. Or as today’s Rattlers say, a place where they become FAMUly.